Large parts of the Netherlands are polders: reclaimed land consisting of drained wetlands. Having mostly been used as pastures some of these areas of grassy land, lakes, ditches, reed lands, and swamps have become natural reserves. 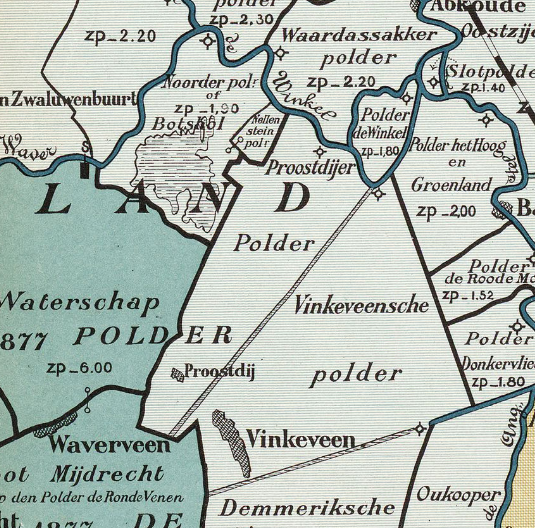 This map of 1901 shows the polder I live in: Botshol, reclaimed in the late 18th century, and now a reserve of the Society for preservation of nature monuments.